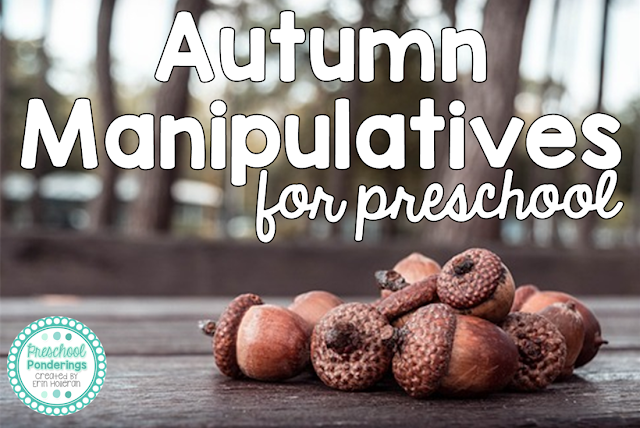 Autumn is my favorite time of year to use seasonal manipulatives because there are so many different options. The items on the list below are great for math games, patterning, sensory tables, tactile language activities, the block area, and fine motor exercises. I'd love to know how you use some of these items in your classroom, share your ideas in the comments!